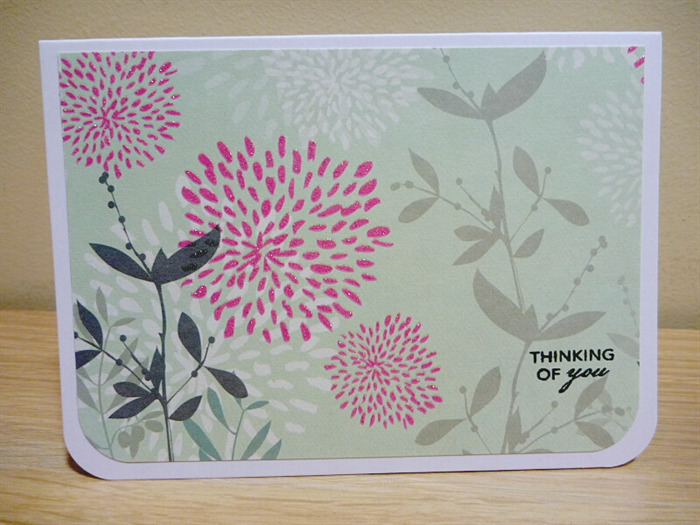 Lovely card to let someone know you are thinking of them. Green and pink floral design with highlighted features on the flowers and Thinking of you sentiment. Inside the card is left blank for your own message. Card measures approx. 14.5cm x 10.5cm and comes with envelope and sealed in cello bag.